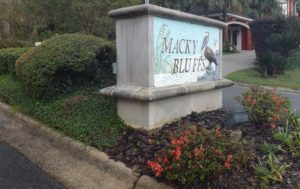 Beautiful wooded lot in the exclusive Macky Bluffs community. This generous lot is perched on the rise of a hill just off the beaten path of Scenic Highway. This development is high, dry and overlooks Escambia Bay. 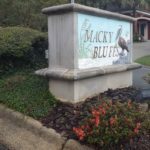 Easy access to Pace, Milton, Century, Pensacola and Gulf Breeze. Just minutes from I-10 access, close to UWF and West Florida Hospital. Build your custom dream home with a pool and never leave.